For the past few months, I have done a round up of my favourite snaps which you may (or may not) have seen if you follow us on Instagram. Here are some of the photos I have shared throughout the month of October. 1. This was when I was changing our bedding and Sophie was helping me out.. by jumping on it of course! 2. Sophie riding on her trike before bed. I love her cheesy grin! 3. 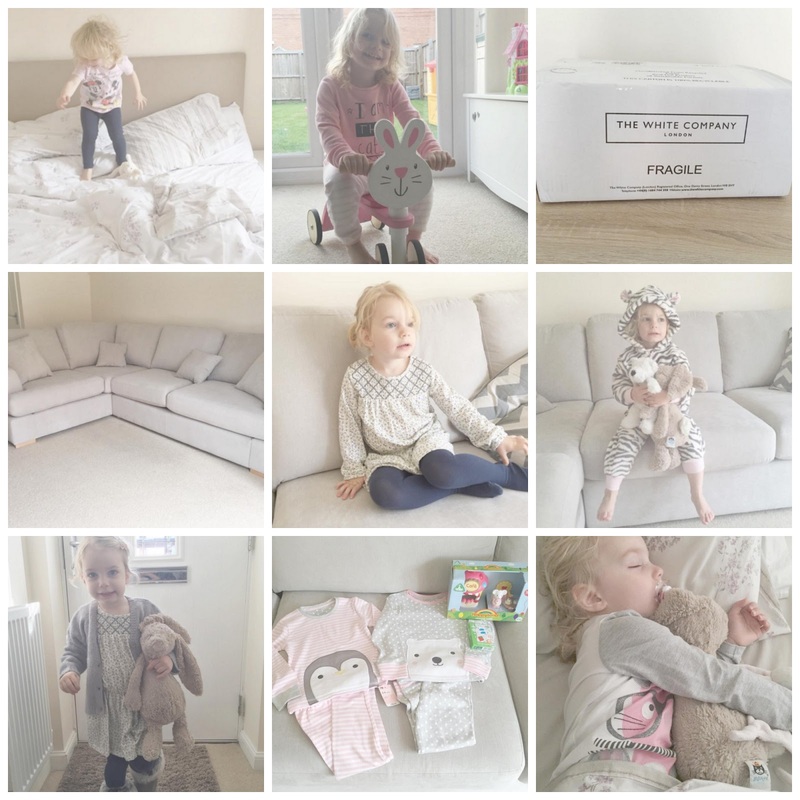 I've been buying a few bits for Christmas and made a little order from The White Company.. oops! 4. As I previously mentioned in my last Instagram post, we ordered our new sofa from DFS which arrived a couple weeks ago and we love it! 6. I bought this onesie for Sophie last Christmas and it's adorable! 7. I absolutely love this outfit! Most of the items she is wearing was featured in an Autumn/Winter Clothes Haul if you want to take a look. 8. I'm in love with Sophie's Christmas pyjamas from Mothercare and I picked up a little Happyland set for her as a treat. 9. She's not been too well recently, which we know now is an ear infection. Poor little thing! Fingers crossed she's feeling better soon. I just love how your photos are all so bright and white. Do you use an app? A lovely month of photos :) Just beautiful.